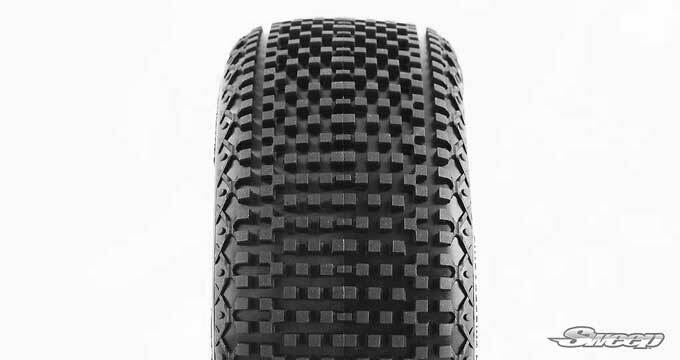 Sweep Racing USA DEFENDER 8th Scale buggy tires Silver dot, BEST TRACTION! LAST LONGER! RUNS by CHAMPIONS! 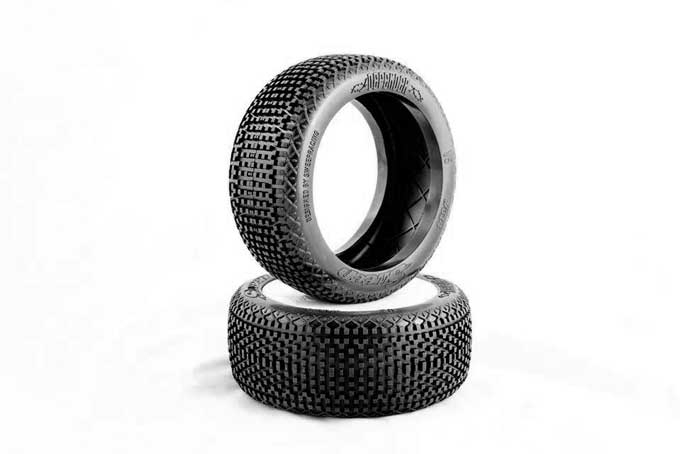 Our tires and wheels are known for precision made for near perfect balanced, in results it spins true, wear evenly bring you most traction. 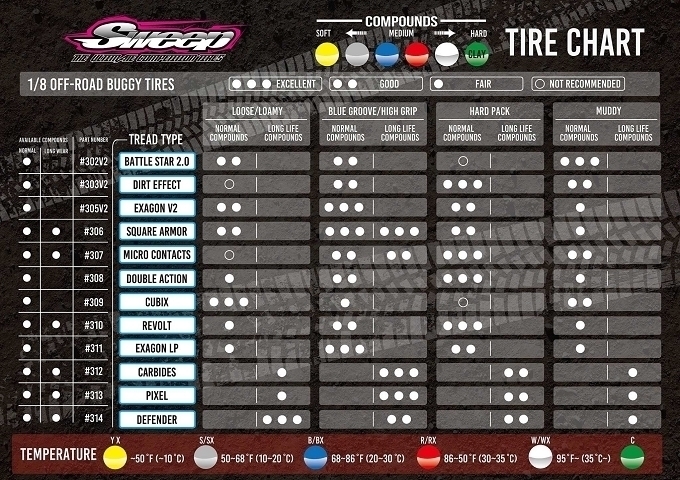 Comes 4 Tires per a set with selected options in a zip-lock bag. 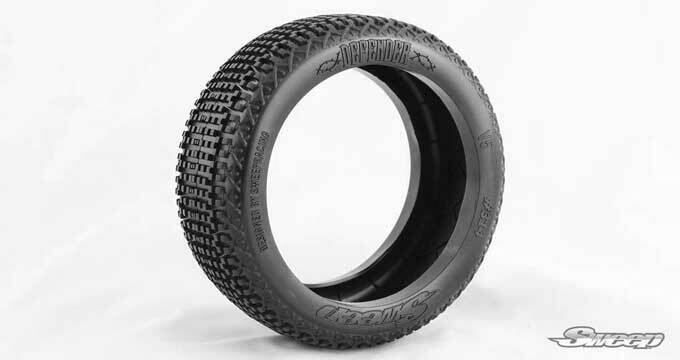 New 1/8th buggy tire DEFENDER. Defender has developed for dusty and bumpy conditions on mid grip surface. Designed on V5 carcase with inner web and perfect fit with V3 closed cell foam. Available YX SX BX RX WX long lasting compounds.